Water temperature and air temperature up in the northern states gets too chilly this time of year for scuba diving outside. PADI Open Water Referral Dives to the Florida Keys for Expert Training is the solution. Sail Fish Scuba professional PADI staff love taking over students training and completing their Open Water Certifications. This morning Live PADI Open Water Classroom Course was taught by Sail Fish Scuba owners Jen Kerr and Chris Kerr. Our newest 2 students elected to learn the “old school” way instead of doing the online e-Learner PADI course. This involved them purchasing the paperback manuals two days ago and doing home study of the manual before arrival. Today they get to enjoy our relaxed classroom setting watching all 5 DVD lessons and getting live lectures on each chapter from the instructors. The morning PADI Open Water Referral students visited sites at John Pennekamp Coral Reef State Park on the morning boarding pass dive boat seats with Instructor Mike. Training dives Open Water #1 & #2 completed during these morning dives. We give thanks to Horizon Divers for running their boat today all day and selling us seats since we only had our 2 students needing shallow dives. We at Sail Fish Scuba love working with all other Upper Key Largo Scuba Dive Shops so we don’t all waste resources running many boats. This afternoon at Key Largo Shallow Reef Sites PADI Open Water training dive #3 was completed and then fun diving at second site. OWSI Instructor Michael guided and trained these 2 divers on these afternoon dives. Our second group of divers joined the DEEP Wreck boat at Spiegel Grove where all enjoyed exploring this massive former United State NAVY Shipwreck. Instructor Thomas photo guided our group of advanced open water divers and took fun photos. 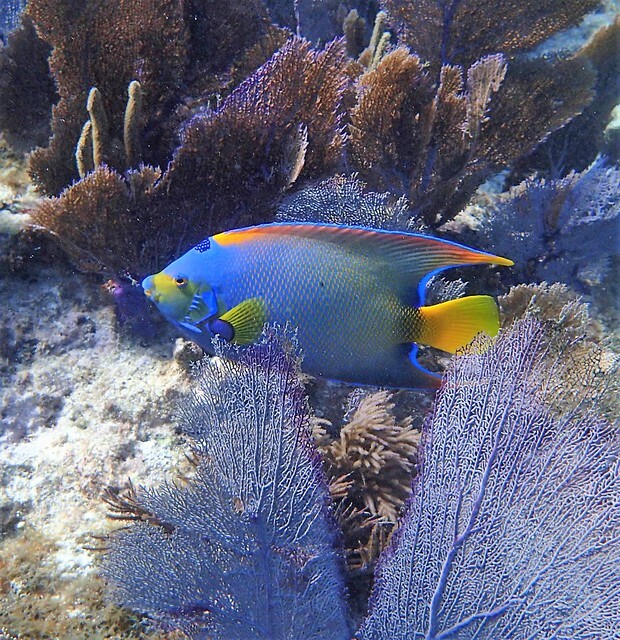 Choose Key Largo for your Referral Dives in the Florida Keys with Sail Fish Scuba for Expert Training. 2.0 feet to 2.5 feet today all day. 75.7 F nice and warm this week for this time of the year. 73.8 F as of 9am and topped off near 80 F mid-day today. Open Water referral training dive #2 and fun dive for certified diver. PADI Open Water training dive #3 and fun dive for cert. diver. So much fun following Inst. Mike and finding interesting fish. Everyone loves this massive shipwreck and all the fish you get to see. You could do ten dives on the Spiegel Grove and still not see it all. Owner/MSDT PADI Instructor Jen Kerr and Chris Kerr taught live Open Water Diver classroom lessons to our 2 newest student all day today. Their cute Beagle named Painter joined the class and entertained us today. Crew of Horizon: Boarding Pass Today. PADI OWSI Instructor Michael teaching Referral OW dives #1 and #2 & a fun photo-guided dive for our certified diver learning Underwater Photography this morning. MSDT PADI Instructor Thomas photo-guided our 2 certified divers and got amazing wreck photos. PADI OWSI Instructor Michael teaching Referral OW dive #3 & a fun photo-guided dive with our 2 students.